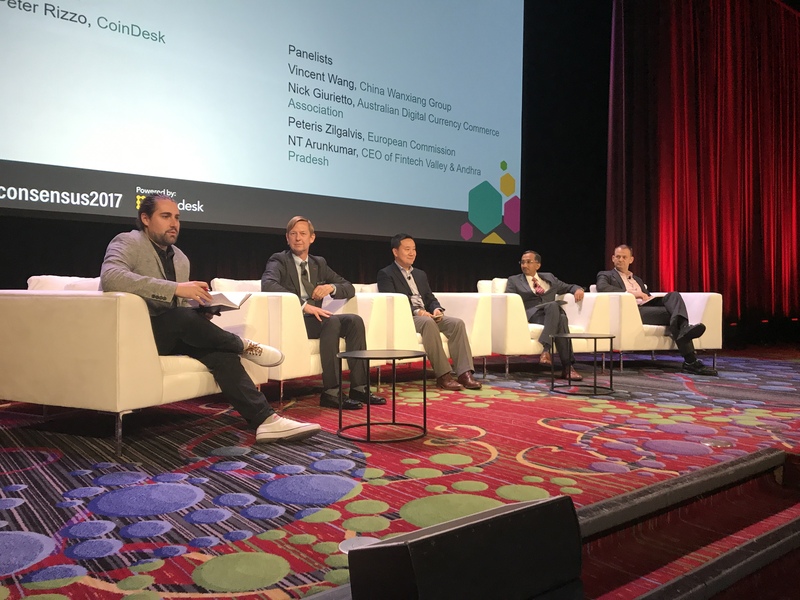 Speakers during the opening panel of Consensus 2017 agreed that blockchain is set to go global – but differed on how, exactly, the technology will get to that point. Vincent Wang, chief innovation officer for China Wanxiang Group, argued that the path to success means reaching out to the businesses and industries that haven’t yet begun any kind of meaningful experimentation. “If blockchain is to take off, which I believe it will, we need to address the silent majority that does not often speak up, that is the industries who will see value,” he said. He advocated that startups working with the tech aim for bold solutions that only blockchain can bring – while at the same time calling for new companies to work more closely with local regulators. Wanxiang launched its own startup accelerator, focused on applications like connected devices and next-generation cities, in March. “It is about harvesting the vast value that in many cases is enabled by blockchain only,” he stressed. Not everyone on the panel shared that view about regulation. Nick Giurietto, CEO of the Australian Digital Currency Commerce Association (ADCCA), argued that reducing regulatory barriers would spur further adoption. “Investments decisions won’t be made in an environment where there is regulatory uncertainly,” he argued, adding that the traditionally slow process of updating regulations produces additional barriers. Collaboration was a major theme during the panel, with participants discussing the approaches taken by governments and regulatory changes – and how they need to come around to the idea that they cannot act alone. N.T. Arunkumar, special representative for IT & Innovation for the government of Andhra Pradesh, a state in India, said that opening up communication across borders is key. Yet that change is likely to take time – a point recognized by the panelists. “China is known for strategic patience when it is known for economic polices,” said Wang, voicing his belief that China’s interest in blockchain isn’t going anywhere soon.